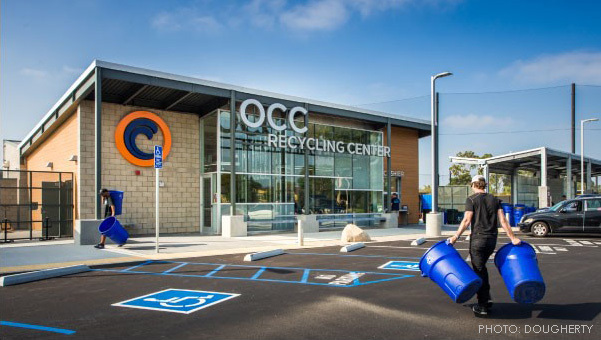 OCC Recycling Center receives LEED Certification! Orange Coast College Recycling Center is now USGBC LEED Certified. NUVIS is proud to be a part of the team that designed this 4.2 acre one-of-a-kind student operated center. The landscape features solar-powered high-efficiency drip irrigation supplied by reclaimed water and California native low-water use trees and shrubs which contribute to the Center's net zero energy approach.